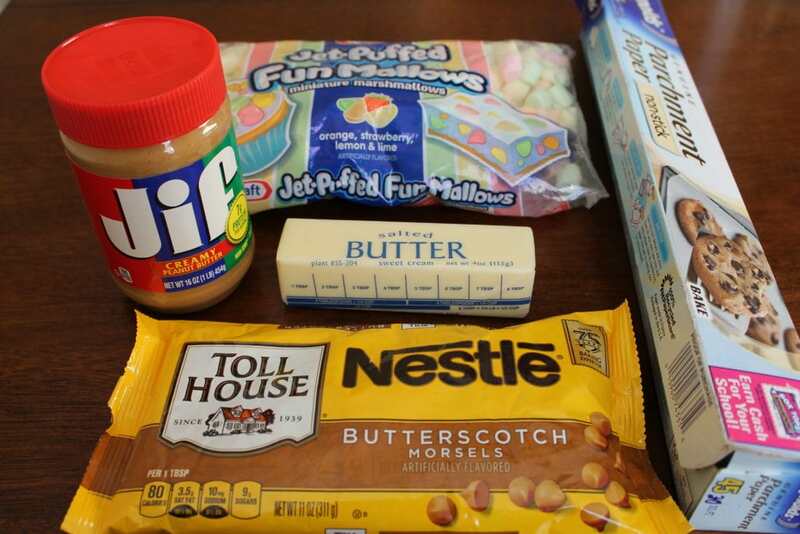 of this beautiful life we are given! 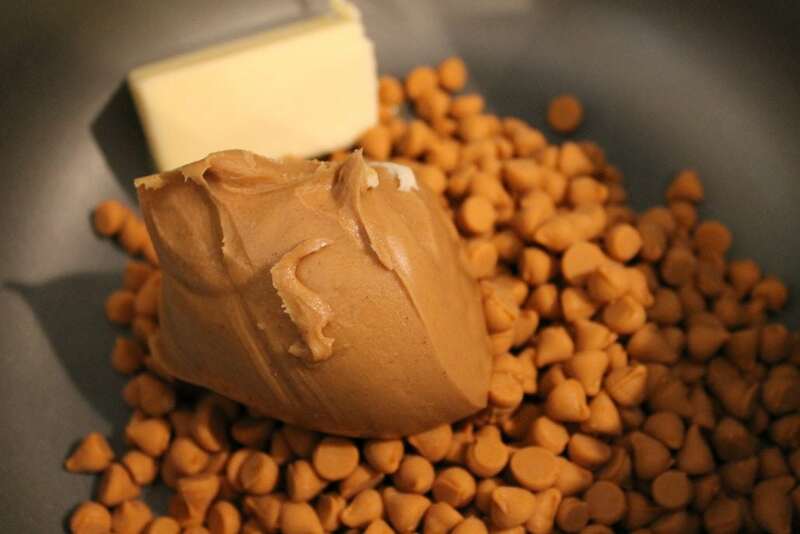 Step 2: Melt butter, butterscotch chips, and peanut butter over low heat. 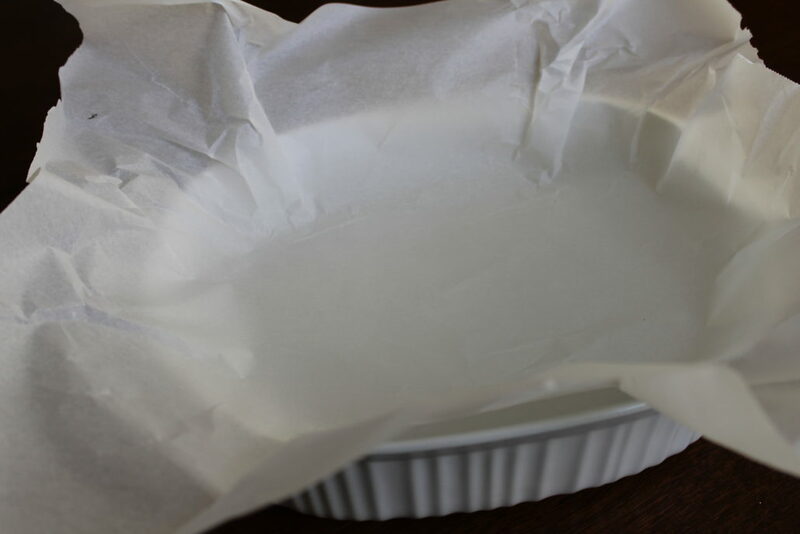 Step 3: Line your baking dish with parchment paper. 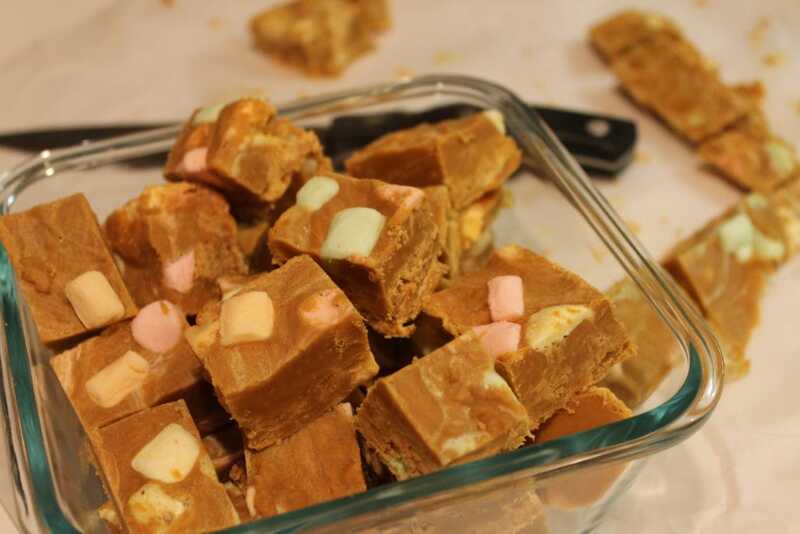 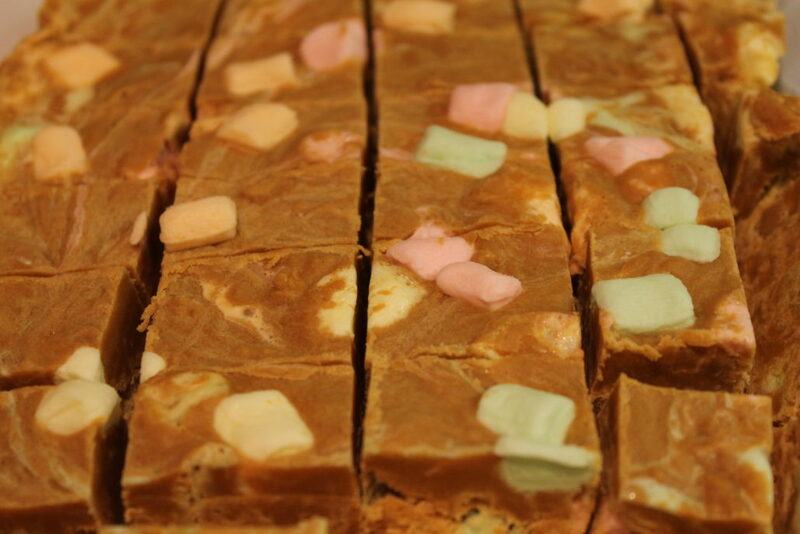 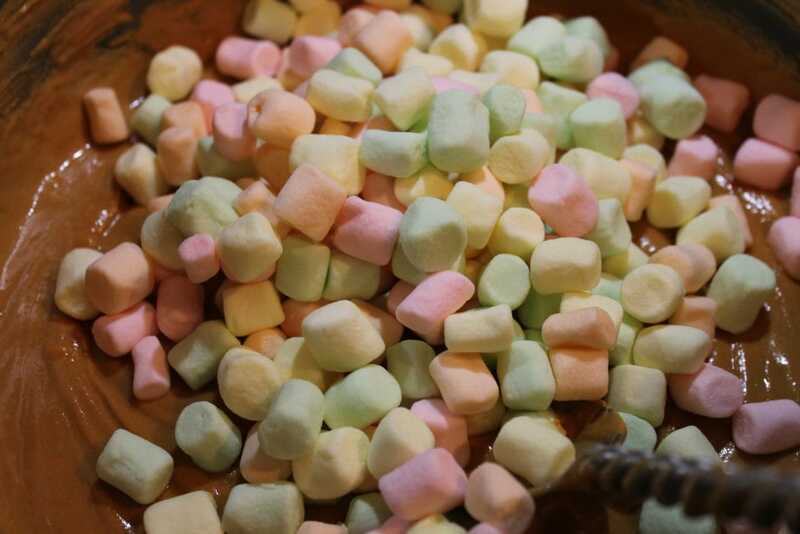 Step 4: Once peanut butter mixture is smooth add marshmallows. 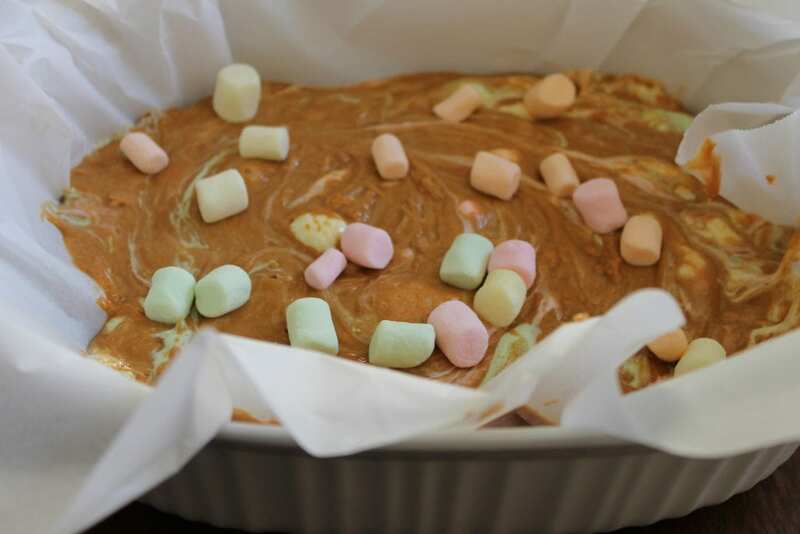 Step 5: Pour into baking dish.